Klavertje Vijf - Flowers & plants in Haarlem. Exceptional and luxurious flowers (beautiful bouquets! 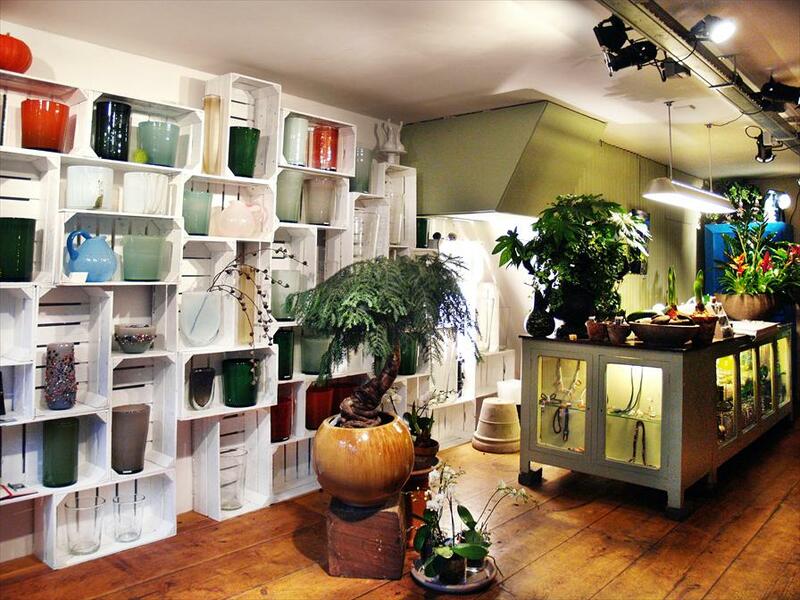 ), vases, plants, pots and a great collection of curiosa. 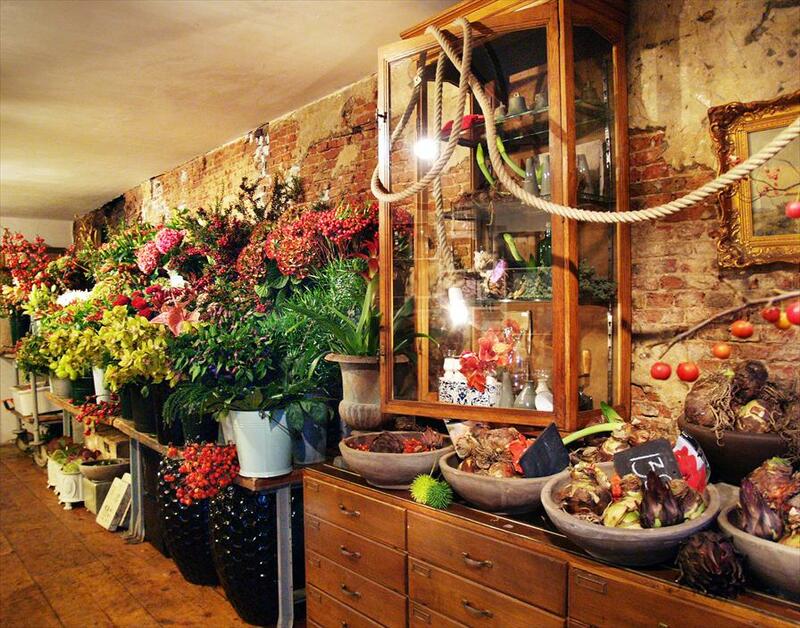 Klavertje Vijf is a florist atelier, not a florist or a store. The bouquets are true works of arts and definitely not expensive. Casual, cosy and messy. You’ll feel like you’re visiting an old friend: in the morning, coffee is waiting, in the afternoon there will be wine. A store that makes you feel good! Klavertje Vijf is like a den in ‘de Jordaan van Haarlem’, where famous singers, radio hosts and artists, but also your neighbors, meet each other. ‘Boy it smells good here!’, ‘Wow, what a beautiful bouquet!’ and ‘Shall I get some pastry?’ are common remarks. Klavertje Vijf is what the owner wanted it to be: a place where the customer is king, where the flowers have a great authentic scent and are lovingly made into a bouquet that gets amazing reactions on the street. If you don’t immediately find that great object for that empty spot, the owner will take care of it for you. Flowers you’ll rarely see. And unique, sometimes funny, always surprising curiosa.